Elle: So we've been going to SEFC for 4 years now. I found out about it from a lovely man I met while sitting at a bar. That's how you find out about this place - it's a hidden gem in the city, no one knows about it. 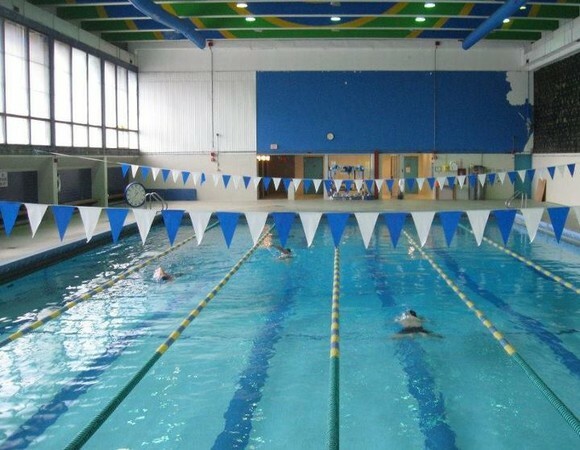 It's the most affordable gym in the city - it has a full size basketball court and the only public 25 meter pool. And the pool is glorious. It has high, cathedral ceilings, and often there aren't many people there, in fact, sometimes I have the whole pool to myself. When that happens, I say out loud, on the pool deck, "I'm so glad I reserved the pool today." But there is a down-side, they are thinking of tearing it down to build high-end condos. Seriously, it's like an 80's movie. The big, bad, rich contractors are coming in to displace the local, fun-loving neighborhood folks. So there is a movement to save this unique, local fitness facility. But if no one does anything, the big, bad contractors are going to come in and demolish it. 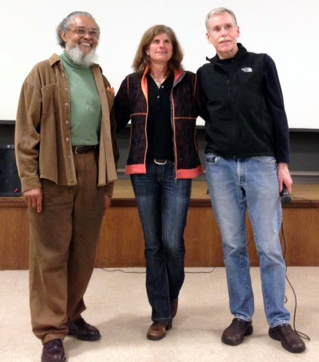 Webb: The Friends of South End Fitness Center invited Karen Smyers, Hall of Fame triathlete to talk to members. (Readers of our blog know that we have a knack for crossing paths with her: see here, here and here.) I was floored to learn that she trained at SEFC in 1995 when she won her historic Ironman World Championship in Kona. I see a lot of water bottles on the pool deck with local triathlon races decorating their sides. It makes me wonder, Am I swimming next to a future World Champion? Or maybe a former world champ. 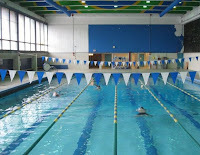 Obviously we are big fans because of the pool; however, this really is a community fitness center. There are many basketball leagues that use the court. The strength and cardio areas are a multi-ethnic, multi-cultural and multi-economic/class crossroads that would make any sociologist drool. If I were to guess who the most represented group is it would be hospital interns and residents. I want them to be healthy and sharp. Don't you? And of course, come visit!